When hosting your friends and family, or just enjoying a quiet evening in, you deserve the absolute best! 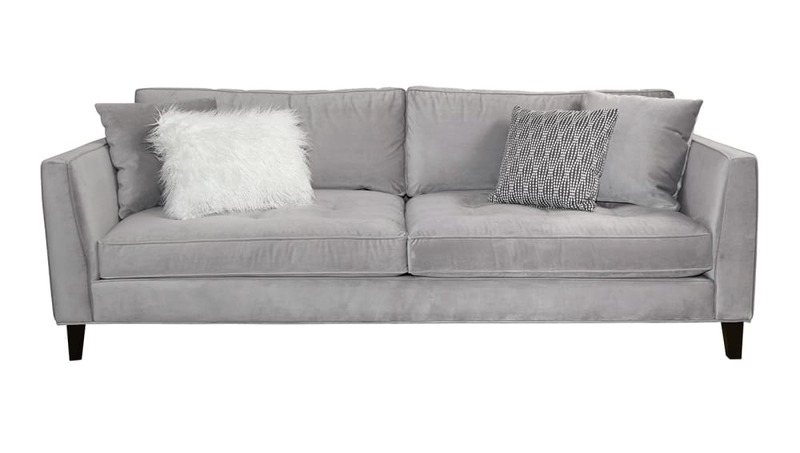 The Calista Velvet Sofa’s two tufted cushions will support you and your loved ones, while two large cushions keep your back comfortable and relaxed.For smooth upholstery, clean design, and spacious seating there is no parallel ! Gallery Furniture can deliver TODAY!